Gone but not from our hearts. 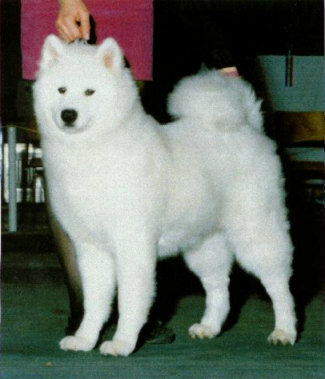 Gin was our first puppy to win Puppy in Show. She has had a special place in our hearts, as sometimes bad things happen to good sammies. She has suffered from non-genetic impaired vision since she was two and a half. We were her seeing eye humans.